Some cryptocurrencies require the equivalent of hours of computing time and energy to mine, while others are produced in a matter of minutes. The term “mining” in cryptocurrencies refers to a collection of techniques to validate transactions known as proof of work (PoW). 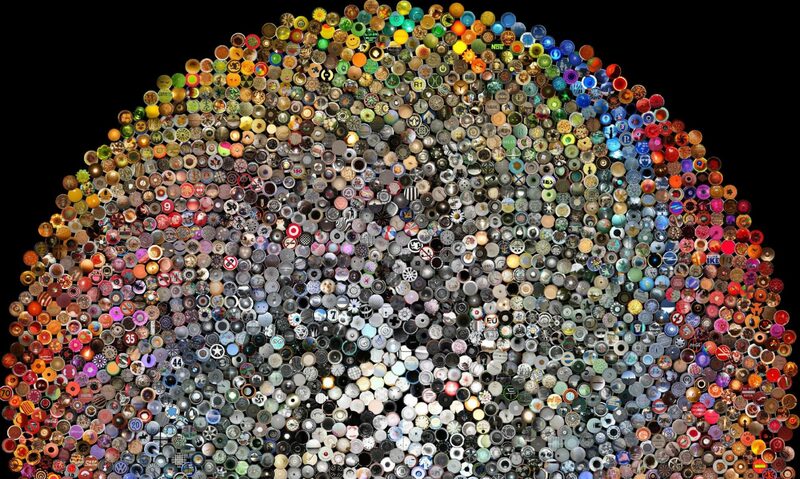 This is when a computer performs many calculations to try and solve a mathematical puzzle. These puzzles use are typically based on cryptographic hash functions, which are designed to be one-way. The nature of these functions is exploited so that a miner must make many millions or even trillions of guesses per second to find a solution. It is then usually possible for any other computer to easily check that the solution is true. In the case of distributed ledger systems like Bitcoin, other computers on the network can easily check someone else’s calculation, and must then build upon it to generate solutions for the next block of transactions. Each block of transactions is its own mathematically difficult puzzle to solve, and becomes part of the puzzle for the next block of transactions, creating a chain. Hence the term “blockchain”. By building the next block of transactions on one which came before, a network is able to come to a consensus of which transactions are valid. Proof-of-work algorithms are therefore also referred to as a consensus mechanism. Other examples of consensus mechanisms is proof-of-stake and Istanbul Byzantine Fault Tolerance, but this article is only going to look only at proof-of-work algorithms, and how they compare. Among the factors mentioned below will be resistance to mining hardware based on application specific integrated circuits (ASICs). Application-specific integrated circuits, as the name implies, are chips designed for a specific use, as opposed to general-purpose computers. In the case of blockchains, they are chips designed to perform the calculations of a particular proof-of-work algorithm as efficiently as possible. Criticism of ASICs is that they are expensive and make it difficult for people to participate in mining a blockchain without a significant capital investment. They also skew the ability mine a particular coin in favour of companies who can develop their own ASICs. What better place to start with a comparison of algorithms than where the cryptocurrency craze all began — Bitcoin. The Secure Hash Algorithms are a family of cryptographic hashing functions published by the National Institute of Standards and Technology. Short for Secure Hash Algorithm, the first variants of the SHA family, SHA–0, SHA–1 and SHA–2, were developed by the U.S. National Security Agency. SHA–256 and its bigger brother, SHA–512, are part of the SHA–2 family. SHA–256 is not designed to be ASIC resistant, and ASICs to mine Bitcoin are readily available. Scrypt was designed to make it more difficult for specialised hardware like ASICs to be used to crack passwords that were hashed using the algorithm. It did this by using a large amount of memory compared to similar functions, making it more expensive for an attacker to target. However ASIC-based miners for cryptocurrencies which use Scrypt, like Litecoin, have been available since at least 2014. Ethereum’s proof-of-work algorithm is a modified version of Dagger-Hashimoto, which was designed to be memory hard and ASIC resistant. This means it tends to favour graphics cards with higher memory bandwidth, and has been the domain of people who want to mine a cryptocurrency with standard computer hardware (like high-end graphics cards) rather than specialised components. Bitmain has produced a specialised Ethereum miner, but the creator of the platform, Vitalik Buterin, surmises that the “ASIC” is just an optimised regular computer with non-essential components stripped out. Similar to Ethereum, the developers of Zcash created a memory-oriented proof-of-work algorithm for their cryptocurrency to make it ASIC resistant. It uses Blake2b in the proof-of-work, and as a key-derivation function. Bitmain has sold ASICs for Equihash, defeating its originally stated goal of democratising mining, rather than having it limited to only those who could afford specialised gear. Blake was an entry into the competition by the U.S. National Institute of Standards and Technology for a new SHA algorithm to complement its older SHA-1 and SHA-2 standards. It made it to the final round, but ultimately lost to Keccak. The algorithm is fast, and was not designed specifically with resistance to ASIC mining in mind. Bitmain has released as ASIC miner for Blake2b-based coins. The developers of Siacoin themselves also launched an ASIC project called Obelisk about a year ago, and reported in detail about their findings of the state of the mining space. Keccak won a competition in 2012 to become SHA–3, the next variant of the Secure Hash Algorithms family. It proved to be faster than all other entrants to the competition, and faster than SHA–2 and SHA–1. While Keccak was not designed to resist ASIC mining, it was built to resist cryptanalysis and brute-force attacks with specialised hardware like ASICs. Keccak is therefore currently considered ASIC resistant, and there are no ASICs on the open market which target the algorithm. CryptoNight was designed to be ASIC-resistant, and accessible. The aim was to close the gap between miners who only have access to consumer CPUs and can’t afford hardware like graphics cards and ASICs. This is to foster more egalitarian mining, and greater decentralisation. However, Bitmain announced in March that it developed an ASIC for the algorithm and was going to sell a specialised miner called the Antminer X3. In response, the developers of Monero announced an emergency fork to update its hashing algorithm. They also announced that they will be forking Monero twice a year to try and ensure that it remains ASIC resistant for as long as possible. X11 is an algorithm originally built for Dash which uses multiple rounds of 11 different hashes: Blake, BMW, Groestl, JH, Keccak, Skein, Luffa, Cubehash, Shavite, SIMD, Echo. It was not designed to be ASIC resistant, and ASICs for X11 are available from several manufacturers including Bitmain, Baikal, iBelink, Innosilicon, and Pinidea. Variants of this idea—in the form of X13, X15 and X17—are used by several other cryptocurrencies. Where X11 uses multiple rounds of a number of different hashing algorithms to mine a coin, there are also coins which allow many different algorithms to be used to mine them. The aim is to allow CPU, GPU, and ASIC miners a fair opportunity to mine the coin, and enhance the security of the cryptocurrency. Essentially, multi-algorthm cryptocurrencies adjust the difficulty of mining their tokens for each algorithm independently to prevent one algorithm from becoming dominant. In theory, this should also make “51% attacks” more difficult. Such attacks are possible when one person or group control the majority of the hashing power for a coin, allowing them to rewrite the blockchain as they see fit. Verge supports Scrypt, X17, Lyra2rev2, Myr-Groestl, and Blake2s. Myriad supports SHA256-D, Scrypt, Myr-Groestl, Skein, and Yescrypt. The post How the biggest proof-of-work algorithms for cryptocurrencies compare appeared first on Coin Insider. Do you compulsively check your cryptocurrency wallets every five minutes? If so, then you’re probably not alone. The development of cryptocurrency wallets and blockchain services have brought along with them a slew of mobile and desktop applications designed to field new and exciting utility to investors. Well-known amongst cryptocurrency circles, Blockfolio stands out as one of the more popular portfolio trackers which investors have used to maintain a birds-eye view of their growing collection of cryptocurrencies. 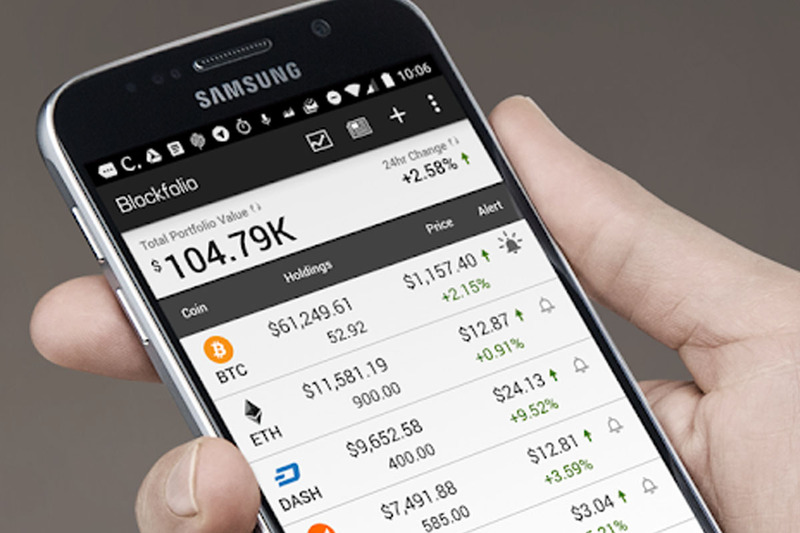 Blockfolio offers investors the option of tracking over 2,000 cryptocurrencies including the likes of Bitcoin, Litecoin, Ethereum, Dash, Dogecoin, and more. Users have the option of setting price notifications, and can furthermore view candlestick charts, order book, and market details for listed cryptocurrencies. More broadly, Blockfolio’s appeal extends to the fact that users can view their portfolio’s value in many major fiat currencies, and can read popular cryptocurrency news stories ingested from media outlets directly within the app. Sometimes a quick peek at the market is what’s needed, rather than a holistic overview of one’s portfolio. That’s where Hold On for Dear Life comes into play. 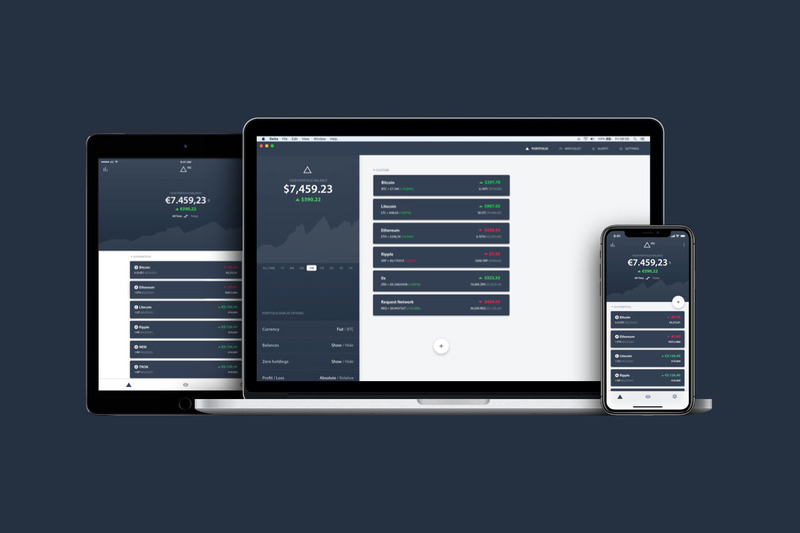 Available for macOS, Hold On for Dear Life provides real-time updates from over 80 global exchanges for investors seeking a quick and effective overview of their investments. 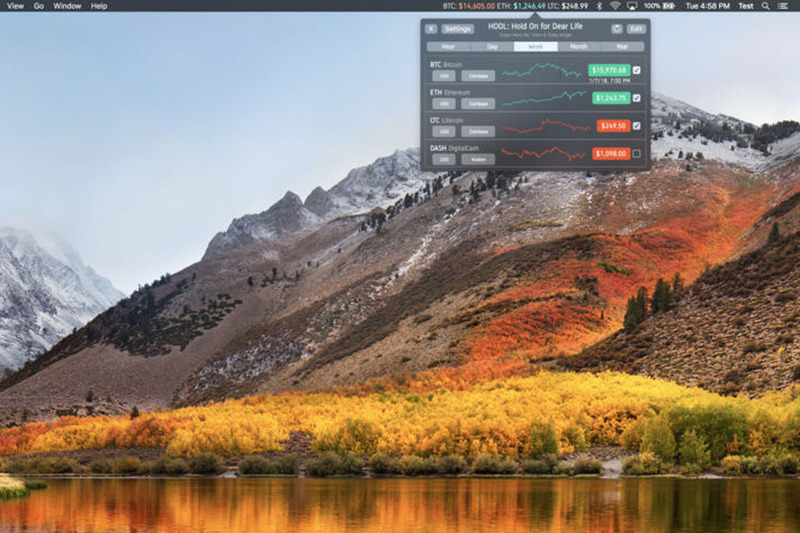 Present in macOS’ widget-driven Notification Center and Menu Bar, Hold On for Dear Life is capable of enabling its users to follow unlimited cryptocurrencies, and displays eight at once in a ticker format. A popular portfolio tracker available for macOS, iOS and Android, Delta enjoys prominence not just for its ability to track a watchlist of over 2,000 cryptocurrencies, but further its prowess in tracking both trades and providing detailed coin analyses. Users can further set up personal notifications for each individual cryptocurrency, and can leverage the platform to keep abreast of breaking price updates at times of their choosing. Perhaps Delta’s most unique feature is its support for new ICO tokens, which allows users to track ‘Custom Coins’ of their choosing. When a token eventually does list on an exchange, Delta enables its users to reconcile their creation with the correct token. Touting itself as the ‘most comprehensive ICO discovery and analysis application’, ICOAlarm enables its users to track and research new ICOs as well as establish push notifications which can be used to track each stage of a coin offering. 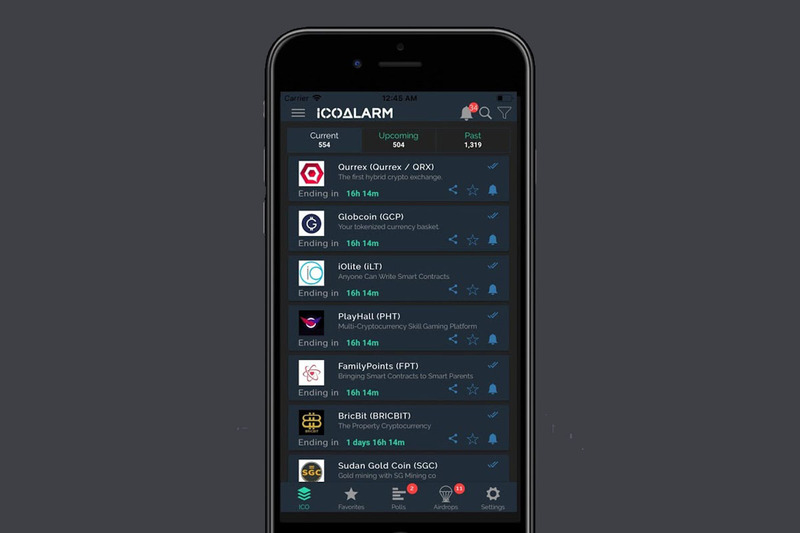 Available as an ad-free platform, ICOAlarm enables its users to track a favorites list, monitor exchange listings, and participate in sentiment polls. A unique feature enables users to evaluate the popularity of new ICOs against Google Trends data. Acquired by Coinbase earlier this year, Earn.com presents one of the simplest ways for users to earn Bitcoin by monetizing their email inbox. 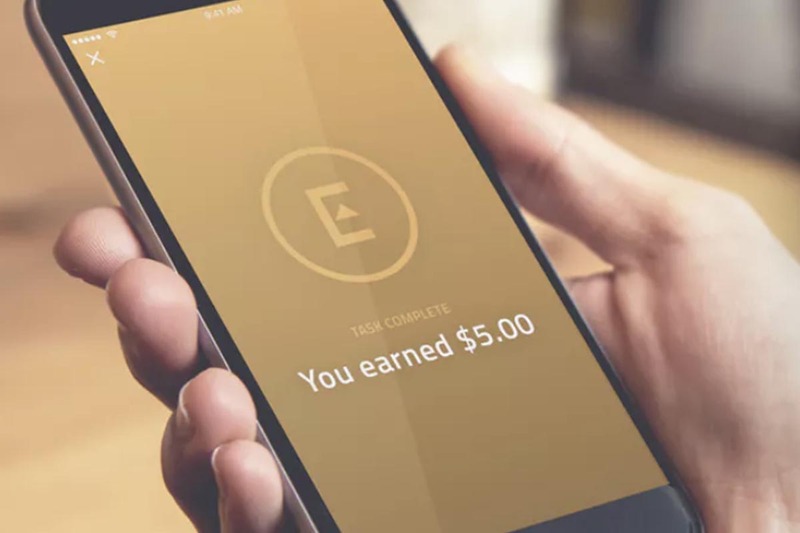 Earn.com – which began life as a Bitcoin mining manufacturer – enables users to effectively monetize their email inbox and receive allocations of Bitcoin for responding to specific messages. In recent months, the service has become something of a hotbed for new ICO and token projects seeking an advertisement channel – leading the company to christen its new venture as “the first commercial social network”. 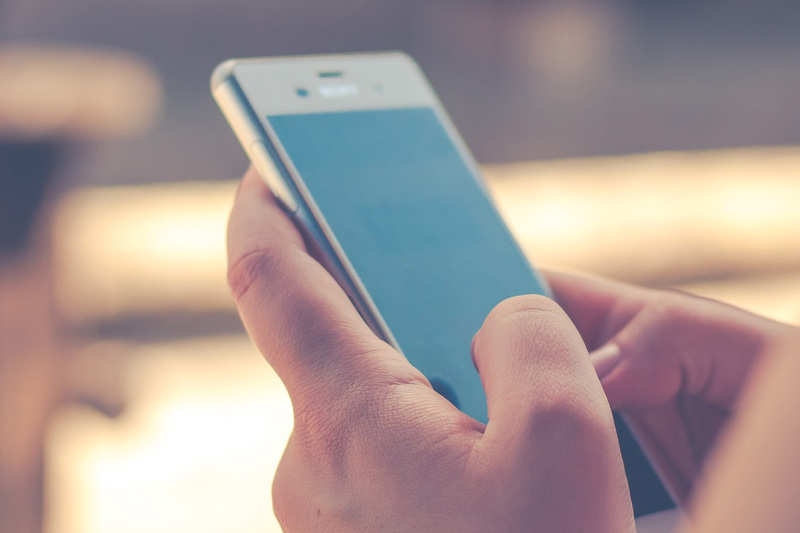 The platform’s mobile app allows users to respond to messages and surveys on-the-go, and further enables users to cash out their profits to a wallet address of their choice. For those who live on the bleeding edge, mobile app developer ACINQ achieved a first this year when it officially released the first mobile wallet built for the Bitcoin Lightning Network. Available for Android devices running 5.0 Lollipop and upwards, Eclair Wallet enables users to use the service as both a regular Bitcoin wallet and as a Lightning-ready wallet. The Lightning Network remains in development, however, and Lightning Labs has cautioned users to risk transferring minimal sums at most. Do you have a great new cryptocurrency app you’d like to tell us about? Drop us a line here! The post Five great cryptocurrency apps you need to try appeared first on Coin Insider. Bitmain, a Chinese company dedicated to mining cryptocurrency and design application-specific integrated circuits (ASICs), unveiled their shiny new product on the market – an ASIC mining hardware invention called the Antminer Z9 mini. The product is dedicated to the Equihash algorithm which is used by Zcash (a cryptocurrency known for its emphasis on privacy). Sales of the product are already available on Bitmain’s website and shipments are expected to initiate in June. ASIC chips offer a new alternative cryptocurrency mining method, opposed to the excessively expensive central processing units (CPUs) and graphical processing units (GPUs), so generally individuals interested in getting involved in cryptocurrency mining are more likely to turn to the new kid on the block. Owing to this, ASIC inventions come with an element of controversy because their introduction to the market generally leads to centralize mining into a few large operations – which can lead to a few large corporations having an excessive amount of control of the mining industry. Those enthusiastic about the concept of the decentralization in cryptocurrencies are often opposed to the monolopy of mining and are subsequently averse to ASIC mining. “That is absolutely never what I had intended to commit to, because (a) I always thought that it would probably become impossible long-term, and (b) I always believed that there was a fundamental trade-off between widespread distribution of the coins on one hand“. The post Bitmain launches new cryptocurrency ASIC focused to mine Zcash appeared first on Coin Insider. Multinational corporation Cisco received a patent on Tuesday which could be utilized in Bitcoin mining process. According to information from the U.S. Patent and Trademark Office (USPTO), the Californian-based company had filed a patent application in September 2015 for a “crowd-sourced cloud computing” system. The patent explains ways in which computer users can offer excess or unused processing energy which could go towards various activities, such as the cryptocurrency mining process – which is known to be extremely power-consuming. The patent outlines how a person using a computer would be able to split energy resources used in order to create computational power devoted to a cloud application. Cisco points out that this could then be utilized for a number of different purposes. Cisco has already filed for other patents in order to take advantage of the many uses of blockchain technology. If these patents are also approved, it could see the use of the opportunity blockchain presents to track the data for group chats amongst other undisclosed innovative ideas. The post Cisco’s newly approved patent could be used in mining cryptocurrency appeared first on Coin Insider.